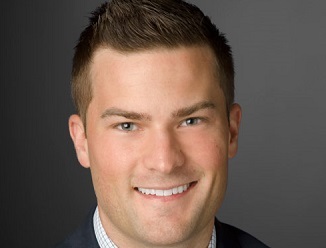 Christopher Nickola serves as Development Manager for Trammell Crow Company’s Midwest Business Unit. In his role, he assists in the management of the team’s office, industrial and multifamily for High Street Residential, TCC's residential subsidiary, projects in process throughout the Midwest. Christopher Nickola previously served as a Graduate Assistant at Eastern Michigan University in Ypsilanti, MI, where he assisted undergraduate professors, taught and mentored students in various construction management classes and managed a construction machinery lab. Chris is currently overseeing the construction of School of Health corporate headquarters, a 121,000 SF Industrial and office development. Other projects Chris has assisted on include: Tri-State Parking Garage 933-stall, 4-level parking garage, Foundry – Minneapolis, MN (164 apartment units)*, Maple&Main – Downers Grove, IL (115 apartment units)*, Park 205 – Park Ridge, IL (115 apartment units)*, The Island – Minnetonka, MN (174 apartment units)*, Midtown Square - Glenview, IL (138 apartment units)*.